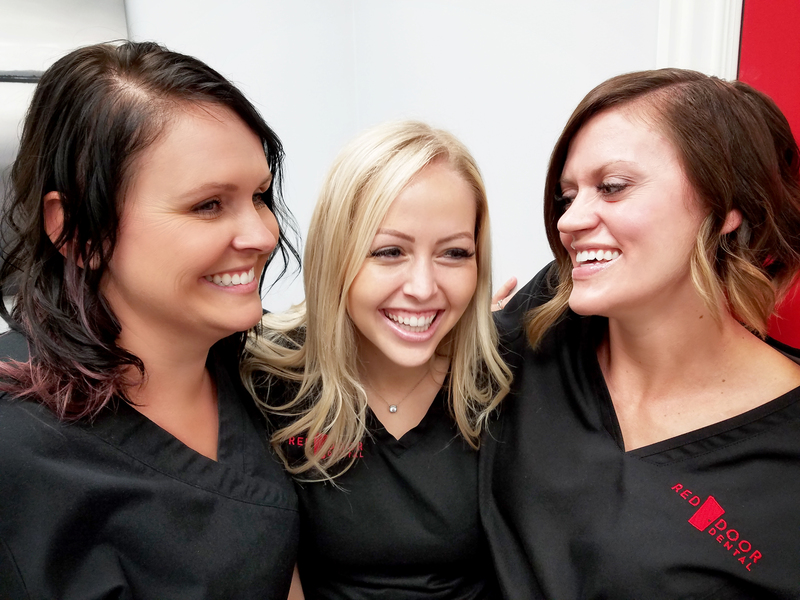 We hope you feel welcome when you come to Red Door Dental. For us, dentistry is more than just taking care of your oral health we want to get to know you and your family. We know life can get busy, we want to make going to the dentist easy for the whole family. We have a kids room with Ipads and televisions above the chairs to keep kids entertained. We also have advanced dental technologies that will make your visits more comfortable and convenient. Our focus when you are with us is to keep you completely at ease. We want you to be able to get the dental care you need without judgment or pressure. We believe you deserve the same kind of treatment we would give to our own families. WHAT IS THE STORY OF THE RED DOOR? 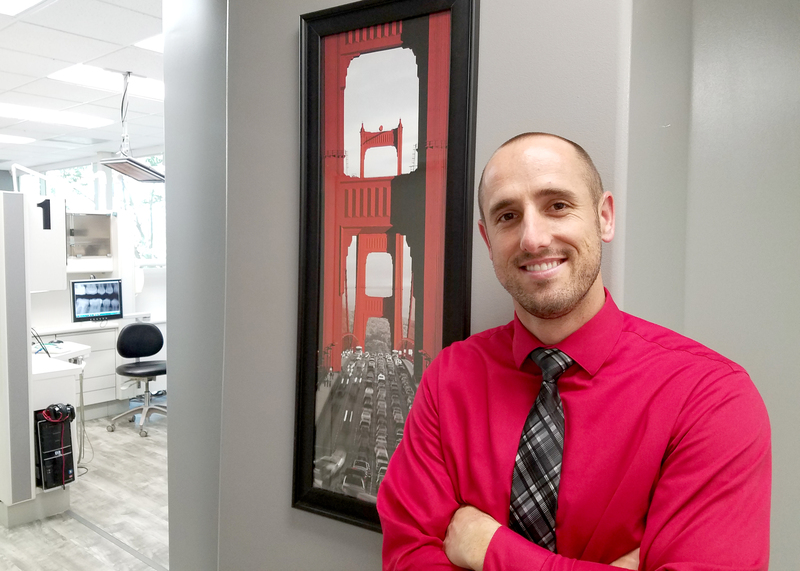 Dr. Larsen attended dental school in San Francisco. He and his wife enjoyed the classic look of the homes there, especially the ones with Red Doors. One day Dr. Larsen wondered if the red door had any significance. He discovered the red door was a sign of welcome. It was intended to help people feel comfortable and at ease when visiting a home. We use the Red Door as a reminder that you are always welcome in our dental practice and when you are here we will take great care of you and treat you like family. I LOVE Red Door Dental!! Everyone is extremely friendly and knowledgeable! Doctor Larsen is super kind and explains everything. We have worked with all the hygienists in the office. They are very thorough with each cleaning. 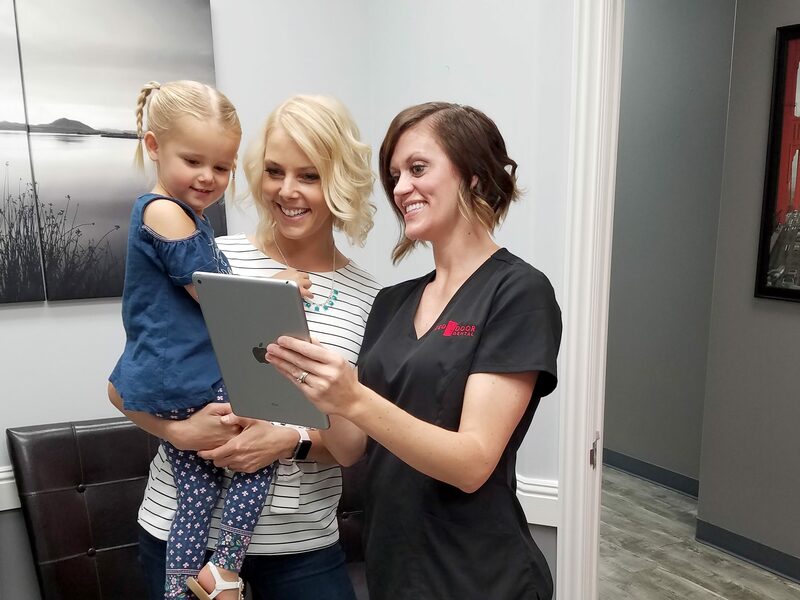 Our whole family has had a wonderful experience at Red Door Dental. 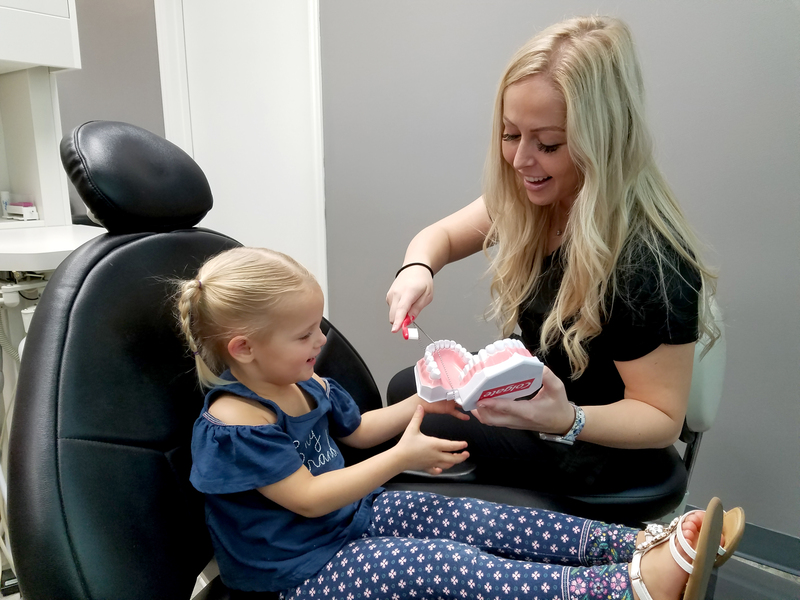 My kids actually love going to the dentist! Thanks Red Door Dental! Our son needed some cosmetic dentistry because of a hereditary missing lateral and peg lateral tooth. Dr Larsen and the entire office staff put us (and especially me) at ease. Dr Larsen went the extra mile to make an impression of what his teeth would look like when the work was done. The work is now done and I couldn't be happier with the way my sons teeth look. They look so natural, like he has had them his entire life. I highly recommend Dr Larsen and Red Door Dental. I appreciate the way they run their business and treat their patients. They are wonderful. I love Red Door Dental. Every time I go in, the whole staff is friendly. The hygienists have always been professional and good at what they do. Dr. Larsen is a great dentist and very efficient with his time. I’d definitely recommend Red Door Dental to everyone. Have a question or want a second opinion? Send us an email or call and Dr. Larsen will be happy to answer your questions. Copyright © 2019 Red Door Dental | Theme by SiteOrigin.